Key’s favourite places are keyholes. The 2nd place goes to the Key Box by Konstantin Slawinski which bares its teeth to defend order. 25 teeth on the bottom of the Key Box give you enough room, for someone with a lot of keys too, to create order in a confused pile of keys. The keys are held safely as every tooth is bent upwards by 10 degrees. 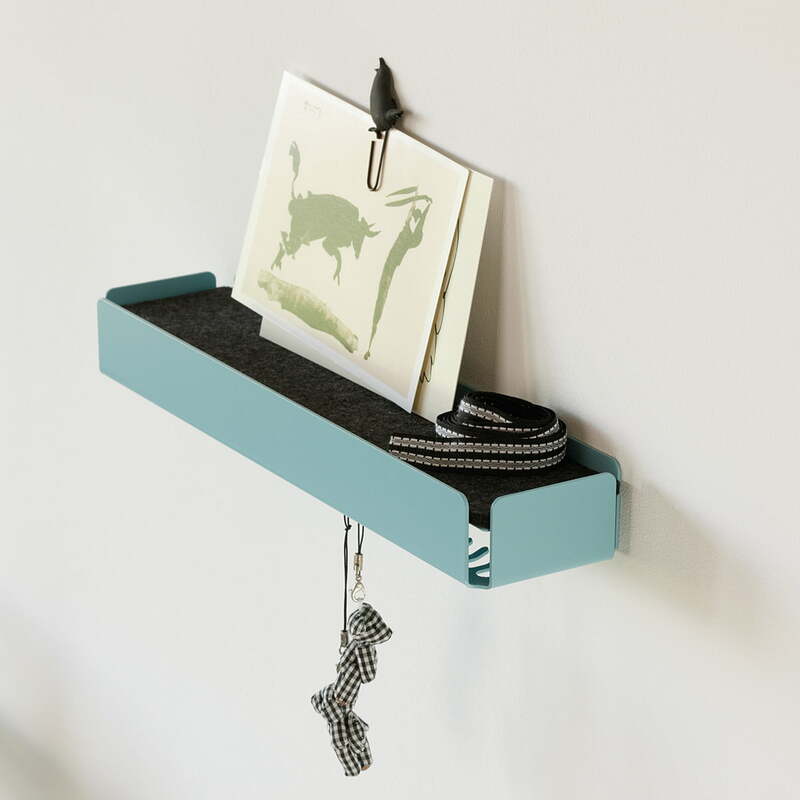 For everyone who finds this too organised: there is a felt tray on the upper side which you can put whatever you want into. 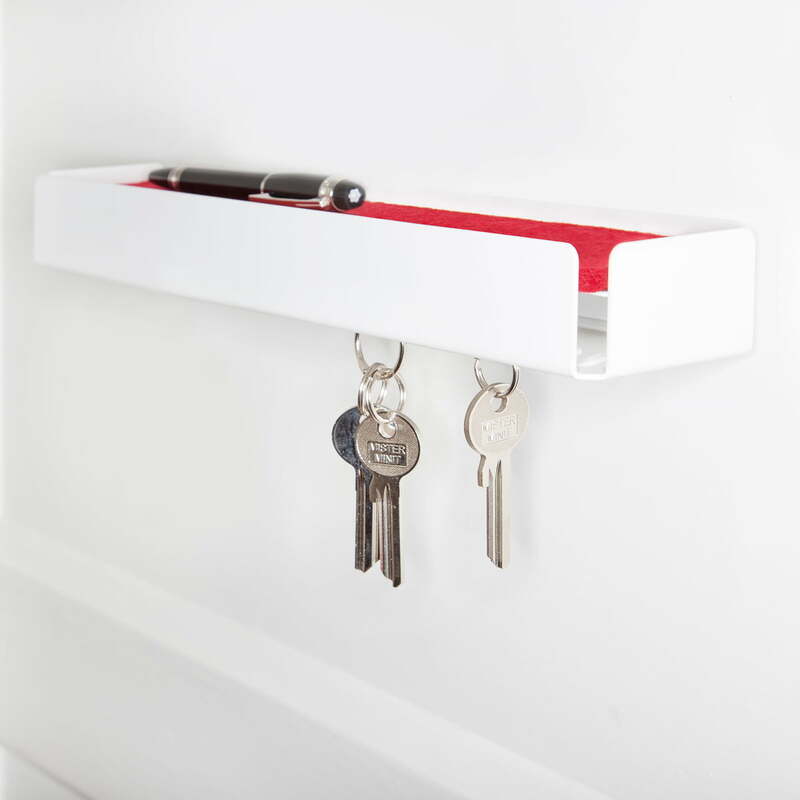 The Key Box by ding3000 for Konstantin Slawinski is available in different colours. 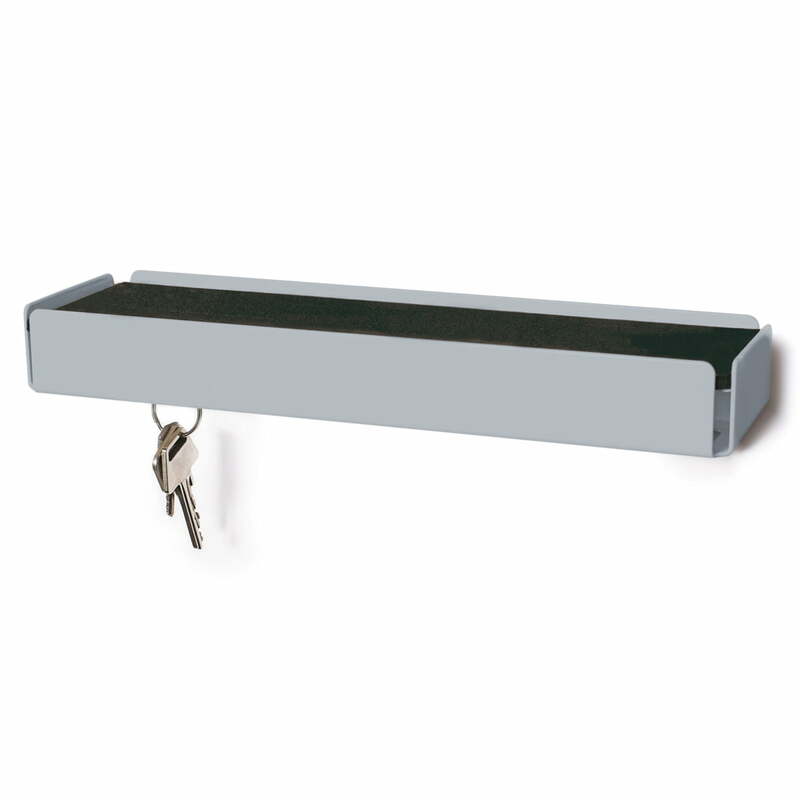 Individual image of the SL35 Key Box in squirrel grey / black by Konstantin Slawinski. 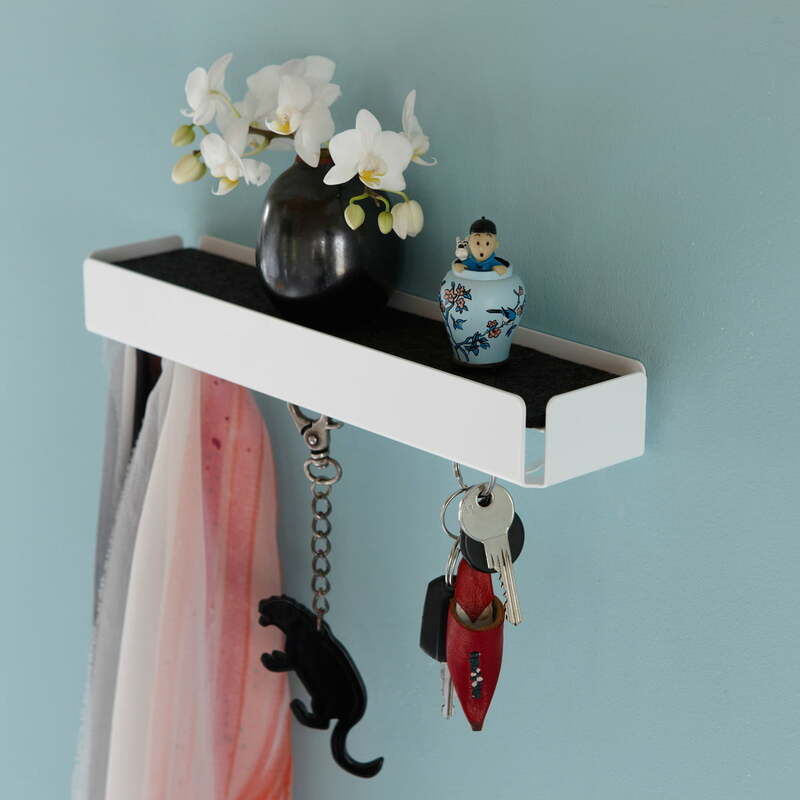 The keys can be hung at teetch - all the other accessories find a place on the felt surface at the top. 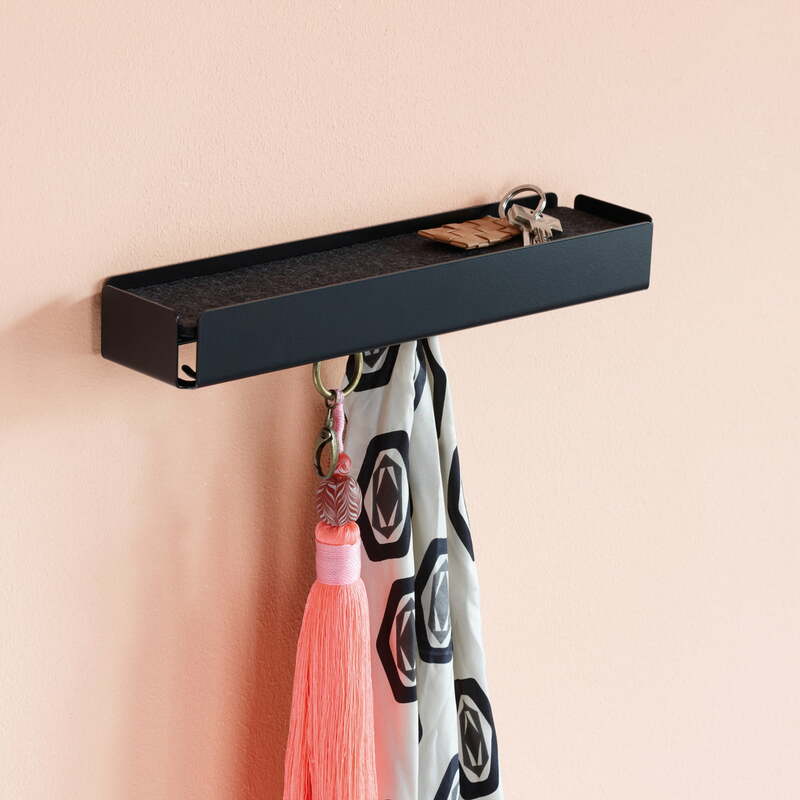 Whether hanging or on the top on the felt surface: Keys and decoration items are safely held by the SL35 Key Box from the designer Konstantin Slawinski. 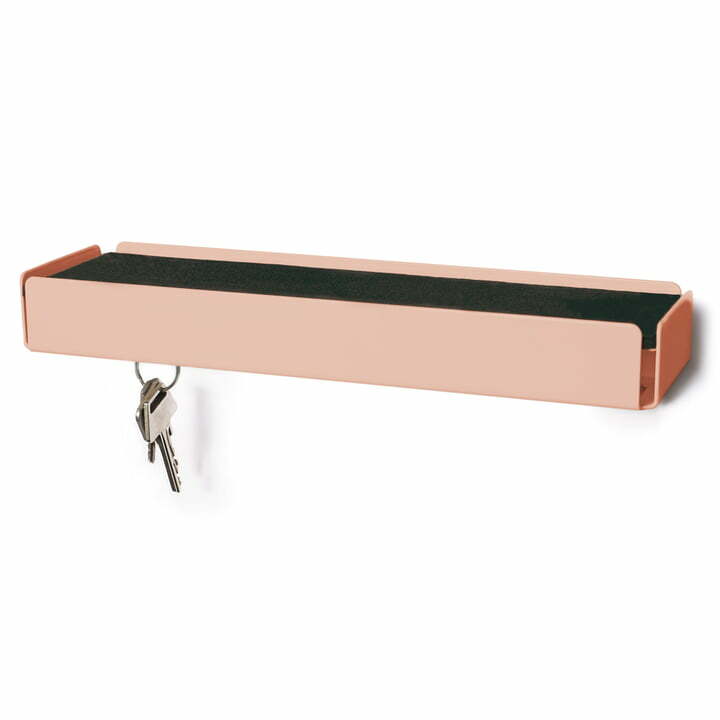 The Konstantin Slawinski SL35 Key Box offers space for 25 different keys. They can be hung on hooks, which are bent upwards by 10 degrees. 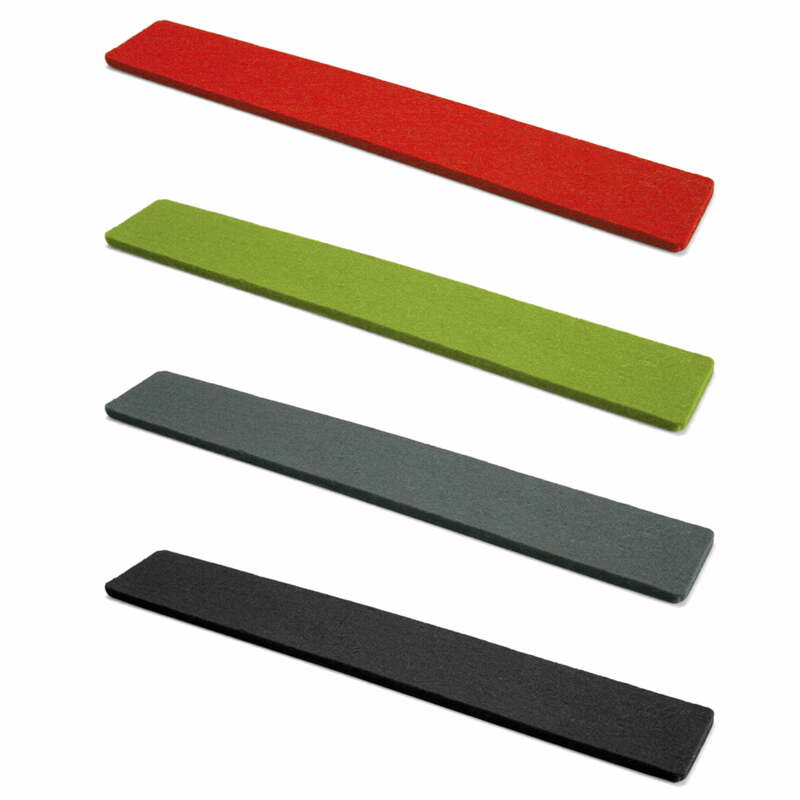 If that is too much organisation for you, you can easily store them on the felt tray on top.